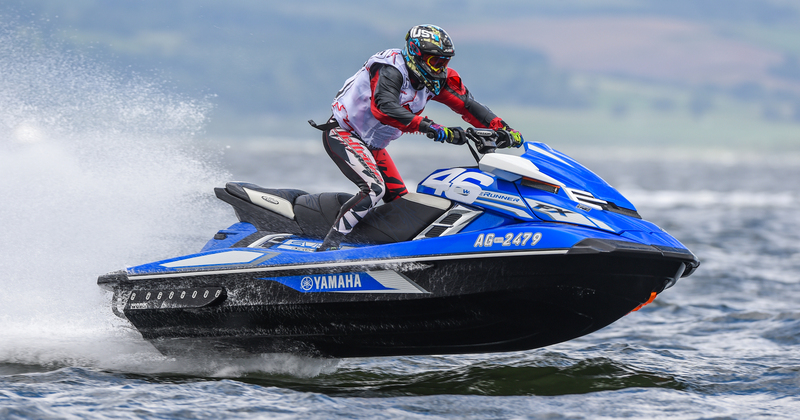 P1 AquaX is the fastest growing and most exciting personal watercraft (pwc) championship in the world. Its rapid growth is owed to a simple, yet challenging race format that appeals to today’s personal watercraft users. The series was launched in the UK by London based sports promoter Powerboat P1 and grew quickly by attracting a mix of first-time and experienced racers to a new style of racing. In 2013, P1 rolled out a second series in the USA and such was the interest that the original format needed reviewing to cope with the abundance of new racers. By the end of 2015, the series had received over 400 registered entries from 11 countries. By 2016 the AquaX series unveiled its first Pro level championship in the USA and launched two further Pro/Am championships in Malaysia and the Great Lakes region of the USA. 2017 saw the launch of the European AquaX Pro Championships and the crowning of the first P1 AquaX World Champion.. American racer Brian Baldwin. 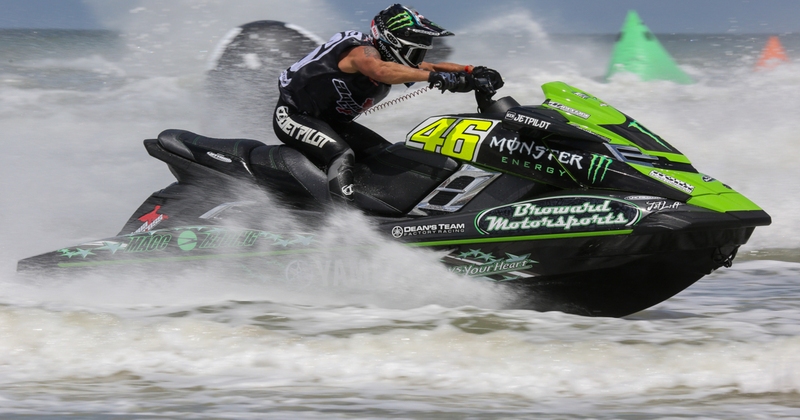 The format is simple: competitors are divided into two categories - ENDURO or SPRINT depending on what type personal watercraft they ride and the style of riding they enjoy. Then, depending on the quality of the field, the category is divided by ability into Pro or Amateur. If not, then the class will run under Pro/Am rules. Sit down craft come under the ENDURO rules, where craft must remain stock, except for minor handling modifications. The craft are then classified by the horsepower i.e - 300hp – 200hp. Races take place on the coast, on lakes or rivers. The tracks are large and each race lasts about 30 minutes in duration. ENDURO is a test of will and preparation. To win, a competitor needs to be in good physical condition and their equipment needs to be mechanically sound. SPRINT is all about the Stand Ups, the original Jet Ski and single seaters like the Seas-Doo Spark. The race courses are smaller and are generally laid in the surf line, creating a challenge even for the canniest rider. The technical rules are limited to handling with some minor engine mods to keep costs down. Unlike ENDURO, SPRINT races are quick (10mins) in duration, a competitor needs speed and agility to win. The technical rules can be found in the AquaX rulebook.